Just imagine how great it would be if you could just zap away undesirable "extra baggage" with a wave of a wand like the way a fairy could? Well, as it turns out, you can do away with these unwanted fats just as easily without the need for your very own fairy godmother. From love handles, flabby arms, to stretch marks, everyone has an extra baggage they wish to get rid of. Whichever of these is your issue, Prana Medispa got you covered. Stay calm and let the Dynamed body capsule work its magic to reduce cellulite, detoxify toxins and lose weight. A non-invasive procedure that uses radio frequency and heat to help transform a sexier shape to your body. A non-surgical treatment that reduces fat under the chin and contours the neck and jawline. With all those inclusions, just relax, lie back and feel the fat melt away as our state-of-the-art equipment work its magic on you. Now you have all the reasons to enjoy the rewards of a fitter figure and slimmer face with no effort at all. 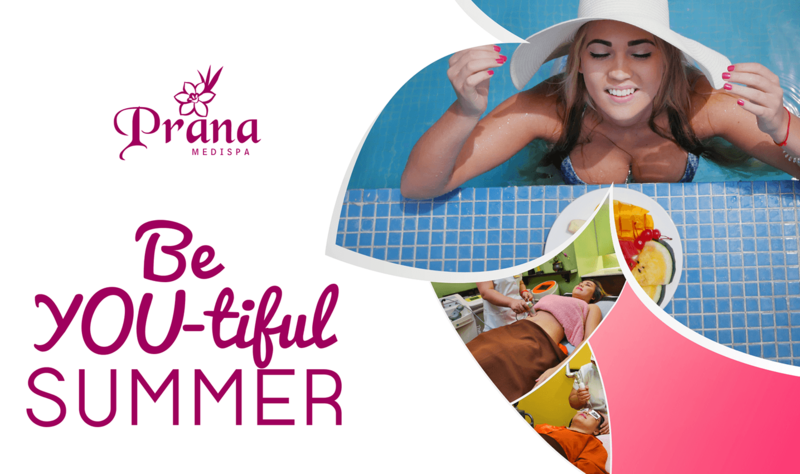 Your Be-YOU-tiful Summer awaits you! Call us now at (032)418-8814 local 55 for inquiries and reservations. You may also book your purchases online at www.pranamedispa.com. This promo is transferable and is available for purchase until April 30, 2018 only.